The normal ups and downs of life mean that from time to time, we all will have felt sad or have had the so-called “blues”. But if emptiness and despair seem to have taken hold of your life and will not go away, you may be suffering from depression. Depression makes it tough to function and enjoy life as you once did. In fact, just getting through the day can be overwhelming! But no matter how hopeless you feel, you can get better. Understanding the signs, symptoms, causes, and treatment of depression is the first step to overcoming the problem. Sadness or downswings in mood are normal reactions to life’s struggles, setbacks, and disappointments. Although many people use the word “depression” to explain these kinds of feelings, depression is actually much more than just sadness. Depression is a complex emotional state which is why the signs of depression are wide-ranging. In fact, many people are depressed without realising it although they may have the feeling that life is not how they would like it to be. Yet, depression is certainly much more than just feeling sad since the person’s mood shifts excessively in response to minor events, or even in the absence of some triggering event. Moreover, the excessive depressive mood might remain for inappropriately lengthy periods. It is important to distinguish between distress which is characterized by worry, irritability, tension, listlessness, poor concentration, sleep problems and demoralization on the one hand and depression on the other although distress often accompanies depression and anxiety. Depression is not a disease that a person either has or doesn’t have. Like many emotional conditions it exists on a continuum – from mild to severe. Since the mind and body are intimately connected, many of the symptoms are not purely mental but can have very definite and well understood physical and medical causes. Depression is a major risk factor for suicide. The deep despair and hopelessness that goes along with depression can make suicide feel like the only way to escape the pain. If you have a loved one with depression, view any suicidal talk or behaviour seriously and recognize the warning signs. 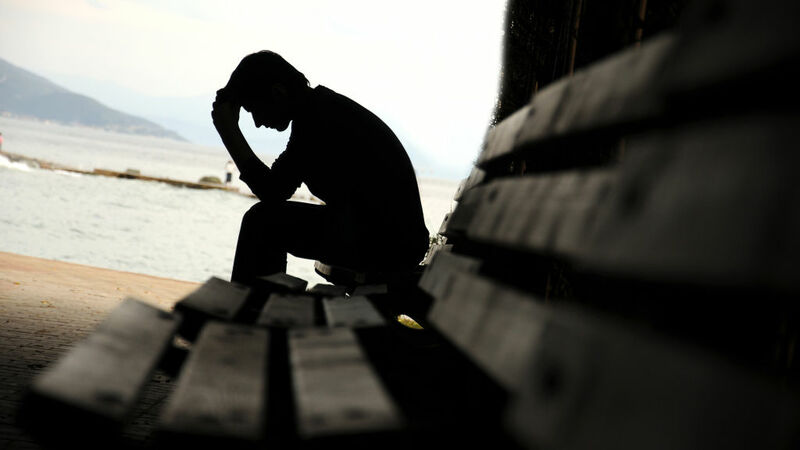 Depression can often appear different in men and women, and in young people and older adults. An awareness of these differences can help to ensure that the problem is recognized and treated. Depressed men are less likely than women to acknowledge feelings of worthlessness and hopelessness. Instead, they tend to complain about fatigue, irritability, sleep problems, and loss of interest in work and hobbies. Other signs and symptoms of depression in men include anger, aggression, violence, reckless behaviour, and substance abuse. Even though depression rates for women are twice as high as those in men, men are a higher suicide risk, especially older men. Rates of depression in women are twice as high as they are in men. This is partly owing to hormonal factors, particularly when it comes to premenstrual syndrome (PMS), premenstrual dysphoric disorder (PMDD), postpartum depression, and perimenopausal depression. Regarding signs and symptoms, women are more likely than men to experience pronounced feelings of guilt, sleep excessively, overeat, and gain weight. While some depressed teens appear sad, others do not. In fact, irritability – rather than depression – is frequently the predominant symptom in depressed adolescents and teens. A depressed teenager may be hostile, grumpy, or easily lose his or her temper. Unexplained aches and pains are also common symptoms of depression in young people. Left untreated, teen depression can lead to problems at home and school, drug abuse, feelings of worthlessness —and even irreversible tragedy such as homicidal violence or suicide. With help, teenage depression is highly treatable. The difficult changes that many older adults face – such as bereavement, loss of independence, and health problems – can lead to depression, especially in those without a strong support system. Older adults tend to complain more about the physical rather than the emotional signs and symptoms of depression so that the problem often remains unrecognized. Depression in older adults is associated with poor health, a high mortality rate, and an increased risk of suicide. Many new mothers might experience some fleeting form of the so-called “baby blues.” Postpartum depression, in contrast, is a longer lasting and more serious depression triggered partially by hormonal changes associated with having a baby. Postpartum depression usually develops soon after delivery, but any depression that occurs within six months of childbirth may be postpartum depression and should be viewed seriously. Some illnesses have a specific medical cause, making treatment relatively straightforward. If you have diabetes, take insulin. If you have appendicitis, undergo surgery. Depression, however, is more complicated. Depression is not just the result of a chemical imbalance in the brain, and nor is it simply cured with medication. It is generally accepted that depression is caused by a combination of biological, psychological, and social factors. In other words, your lifestyle choices, relationships, and coping skills matter just as much, if not more so, than genetics. However, certain risk factors make you more vulnerable to depression. Lifestyle changes are not always easy to make, but they can have a big impact on depression. Just as the symptoms and causes of depression are different in different people, so are the ways to feel better. What works for one person might not work for another, and no one treatment is appropriate in all cases. If support from family and friends, positive lifestyle changes, and emotional skills building are not sufficient, seek help from a mental health professional.